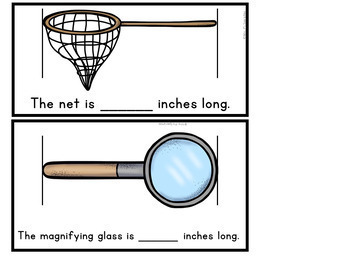 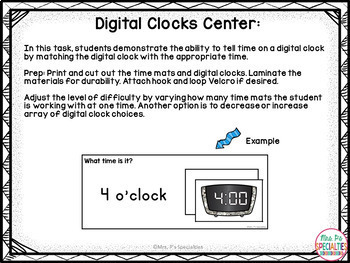 Teach students time and measurement concepts through leveled and hands on activities. 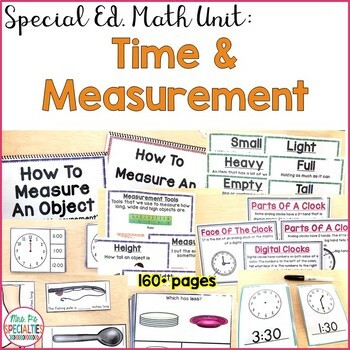 This unit is designed for special education students who need more practice and repetition than traditional math curriculum offer. 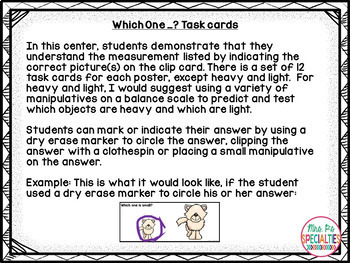 This unit will help your students learn, practice and generalize their skills through varied practice and high repetitions.